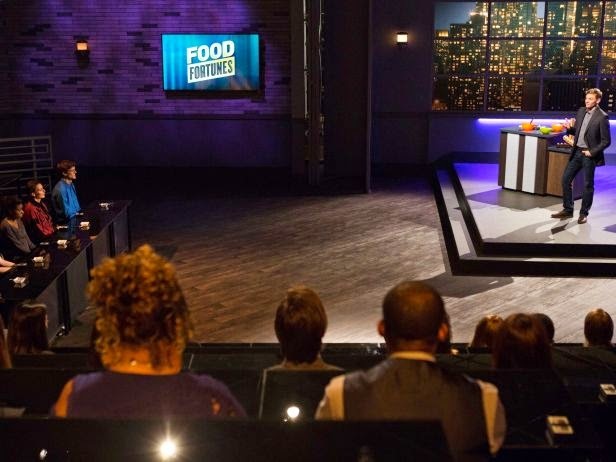 Food Fortunes premieres tonight at 10pm ET on the Food Network, which sounds pretty much like a food-related version of ABC's Shark Tank. The show is described as "recipe developers, product makers and food visionaries have the opportunity to earn cold hard cash from four titans of the industry all looking to make lucrative investments"
Willie Degel - Host of Food Network's Restaurant Stakeout and owner of Uncle Jack's steakhouses. It should be interesting how this show is received as Shark Tank gets great ratings on ABC. Will people look at this as a cheap knock-off or will they buy into the investors and entrepreneurs making the show a hit? I guess we will find out everybody's opinion after the show begins. Wasn't this show just a ripoff of restaurant startup on cnbc? Didn't watch it, but it's an obvious copy-cat attempt of "Shark Tank." Does Food Network lack the ability to come up with original concepts on its own. Willie Degel is a horrible rep in any capacity for Food Network. Well, Shark Tank isn't original either. It's based on the UK's Dragon's Den, which in turn is base on the Japanese original Five Golden Dragons. Sorry, I'm not watching anything Willie Degel is involved in. He recently had to spend almost a million dollars settling a lawsuit brought by his employees for shorting their wages and skimming their tips. They gave the boot to Lenny and Paula Deen on FN for their transgressions. Seems punishment isn't handed out evenly by FN, ie Robert Irvine. But they devote the whole hour to just one team launching an actual pop up restaurant. It is far more entertaining. I agree. Who talks like Willie Degel any more? Double negatives are his specialty, follow that up with a few "yous." You in the second person singular and plural is still YOU.......never YOUS! It's not that difficult!!!!! I find Willies bad grammar entertaining. I wouldn't change a thing. I think we need a "grammar-off" between Willie Degel and Robert Irvine. Now that would be entertaining television!